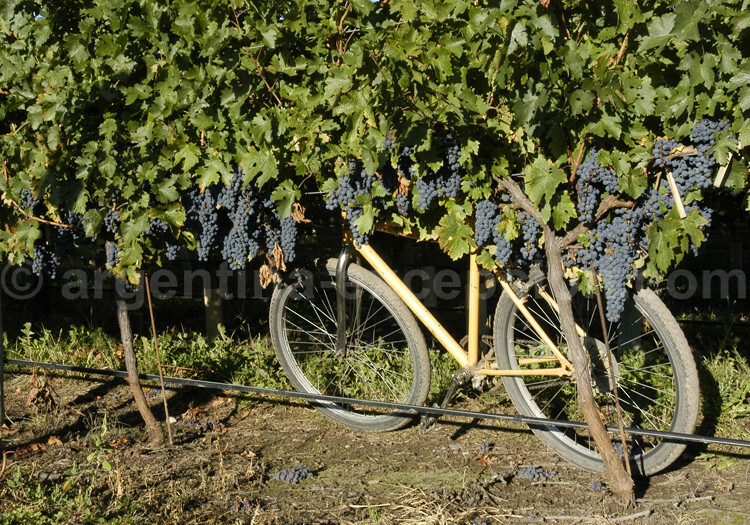 Nowadays ninth wine producer and fifth wine exporter in the world, Argentina shows a rich tradition in the grape-growing and wine-making culture. Bonarda: Red grape variety from the Bordeaux region. It is one of prevailing varieties in Argentina. Similar to the cabernet sauvignon, but less acid, fruitier and lighter. It smells of red fruit. cépage rouge originaire du Piémont italien. Arômes de fruits noirs et de fougères. Cabernet sauvignon: It comes from Medoc and it is considered one of the best red grape varieties. Red-colored and high-tannin content wines that are well preserved. Aromas: pepper, cassis, berries and licorice. Cabernet franc: Original from Southwestern France, it is used in blends. It is being gradually more produced, mainly in Mendoza and San Juan Very structured wine, less red, with less tannin content than the cabernet sauvignon. It smells of wild fruits. Chardonnay: White grape variety from Champagne and Burgundy. It adapts well to the altitude and the cold weather of the Andean mountain range. 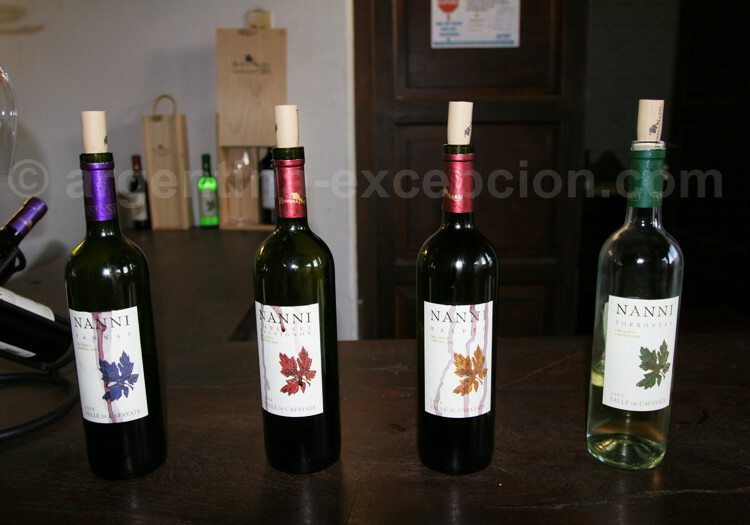 Fine and aromatic wine with good taste and texture in the mouth. Aromas: citrus, fresh butter, almonds, bread toasts. 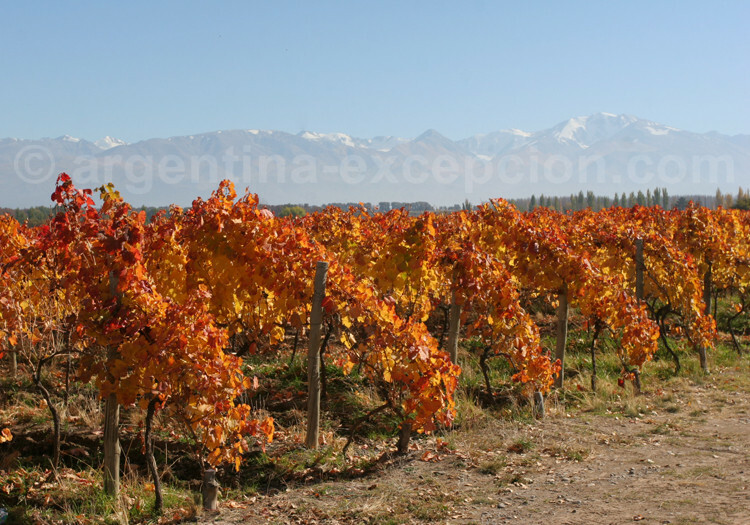 Malbec: Although it has been imported by the French in the 19th century, it has come to be the icon of the Argentine vineyards, particularly in the Mendoza region where it found the best place to grow. Intense and fruity with red and wild fruits aroma, high tannin content, intense color with shades of violet. Merlot: Red grape variety from the Bordeaux region. It is one of prevailing varieties in Argentina. Similar to the cabernet sauvignon, but less acid, fruitier and lighter. It smells of red fruit. Pinot noir: Grape that serves as basis for champagne and many other burgundy denominations. 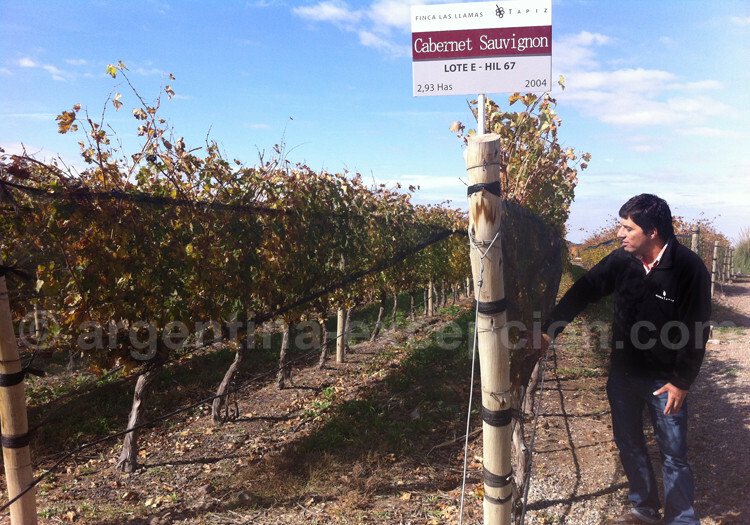 Although it is difficult to grow, it adapts well to the cold weather of Salta, Mendoza or Patagonia. Fine wine with good aroma and good body. Aroma: red fruit and flowers. It used for red and sparkling wines. Sauvignon: White grape typical from the Bordeaux region. Aroma: asparagus, herbs, flint stone, and a taste of smoke. 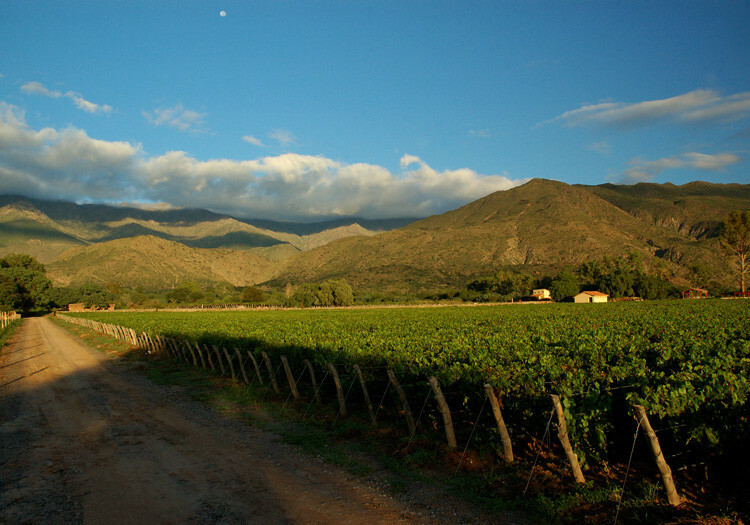 Complex white wine mainly found in the region of Mendoza. Semillón: White grape from the Sauternes region which has adapted to the cold regions of Mendoza and Patagonia. Dry wines of good conservation. Aroma: mineral, honey, apple. Syrah: Colored, aromatic, fleshy, rich in tannin, with good persistence. It smells of spices, red fruit, and cacao. 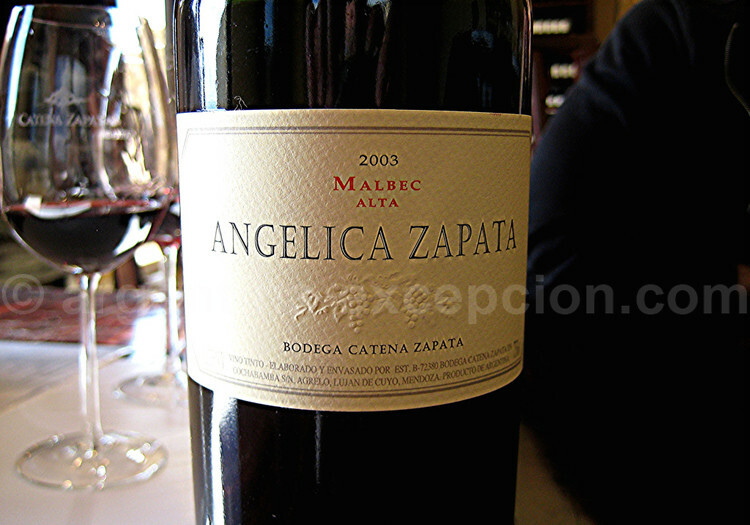 It is gradually more used, alone or in blends, especially in San Rafael and San Juan bodegas. Tannat: Colored, acid, with lots of tannins. It requires aging. Aroma: fruit, chocolate and tobacco. Tempranillo: Black grape from La Rioja, Spain. Fruity and a bit licorice wine. Torrontés: This white grape variety originally from Spain is only grown in Argentina now, especially in the Cafayate Valley, in the south of Salta. It was taken to this country by the jesuits in the 18th century. It has intense aroma and tropical fruit and white flowers scents. It is compared to the gewürztraminer. Viognier: White grape variety that makes a wine that is rich in aroma with spices, violet, and peach scents, and low acidity.